Frisian Dew from Dutch Passion are feminised cannabis seeds that are originated by crossing a feminised Super Skunk x masculine Purple Star. These beautiful cannabis plants contain a mix of Indica and Sativa genetics. She won the 1st reward High Life Holland 2008. 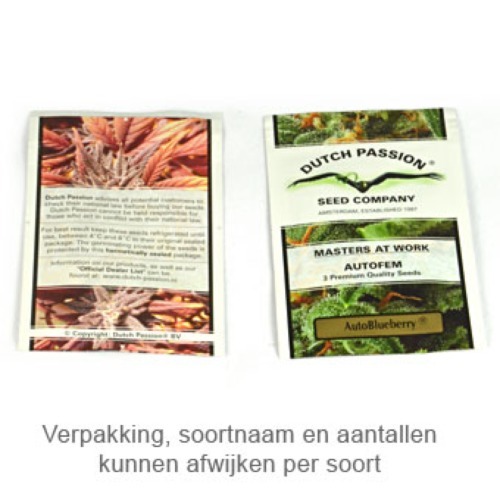 Dutch Passion Frisian Dew cannabis seeds are suitable for indoor, outdoor and greenhouse grow. These cannabis plants are not susceptible for mold and produce very good in full soil. The effect of smoking this weed is a powerful high and a sweet aroma taste. Growing weed with these cannabis seeds generate a nice and tasteful harvest. This weed is recommended for a full soil grower in northern climates. Tell us and our customers what you think of the Frisian Dew from Dutch Passion.